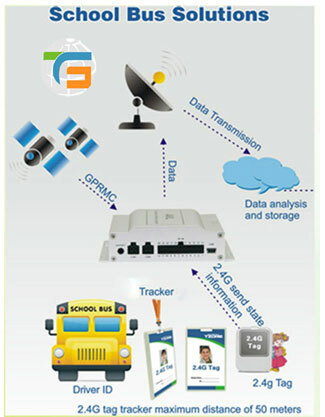 Track the location of the school buses through a web-interface & Mobile. Entry/exits from schools/ bus yards status. SMS will be triggered to each parent when the bus leaves the school premises. SMS will be triggered to parents before 3 stops prior to their pick up point so that they can reach the pickup points accordingly.